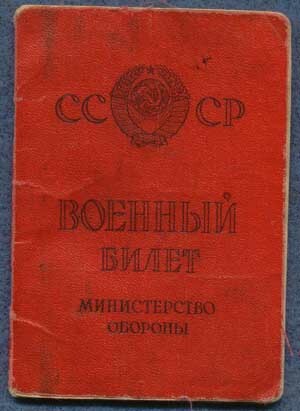 This is a Soviet identity book issued in 1964. 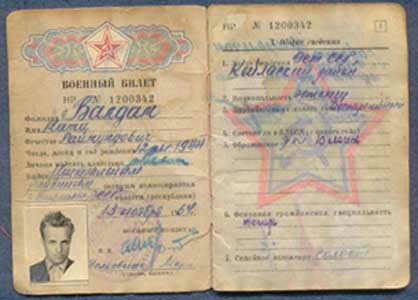 It is issued to a male born in 1944. The last date that I can see written inside is 04-24-84. Obviously this one has been used and is a little salty. It is still tight and contains all of the pages It measures approximately 3 3/8 inches by 4 3/4 inches. He doesn't look too happy! You will too if you miss out and don't get your piece of Cold War history now. U.S. Shipping- Insured Priority Mail on this badge would be $6.25. First Class shipping is also available. Email me for a quote. If ordering multiple items, the total weight and value of the combined items in the package will determine the postage. International buyers please email for a shipping quote to your home country.